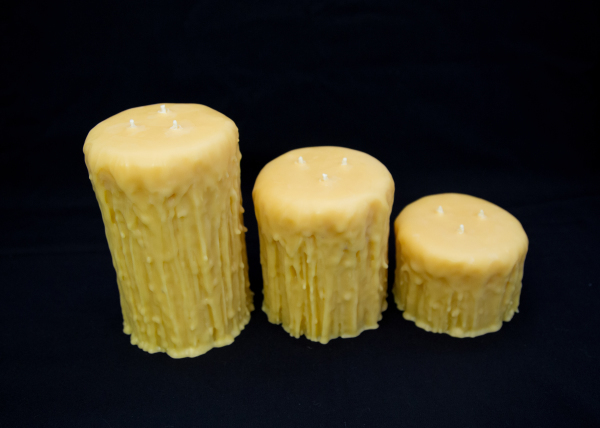 Our beeswax candles add a beautiful ambiance to any room. They are a reminder of nature's true beauty. 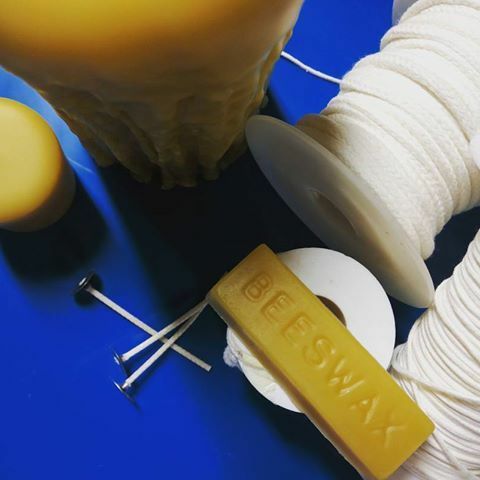 With an all-natural honey aroma and beautiful golden hue, beeswax candles are a staple in every household. 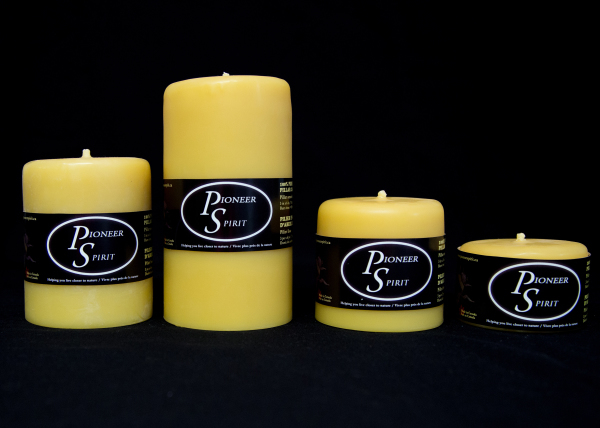 Our pure beeswax candles are hand poured and many are hand finished using skilled techniques the pioneer chandlers used. We are very selective on where we source our supplies. 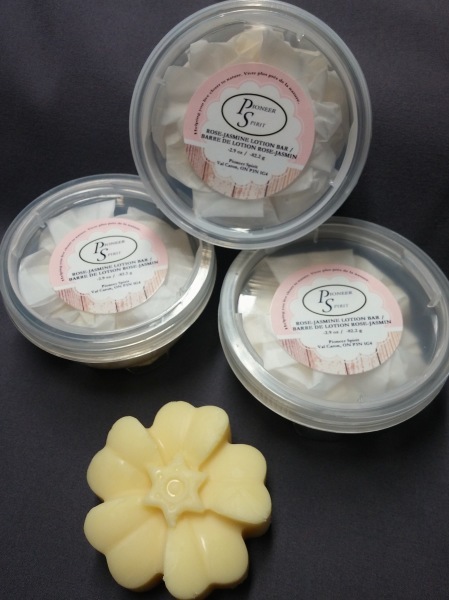 We buy locally whenever possible and we use the most natural ingredients available. 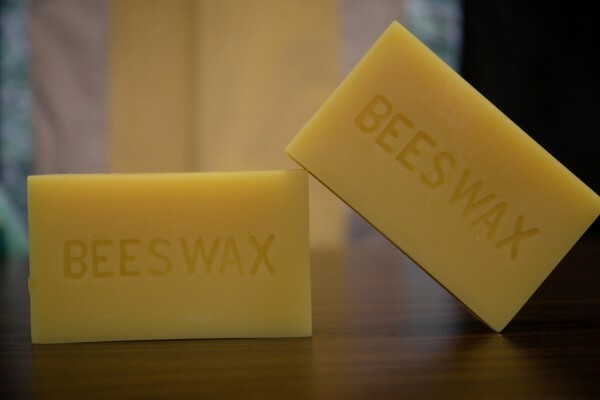 All of our beeswax comes from Canadian apiaries. 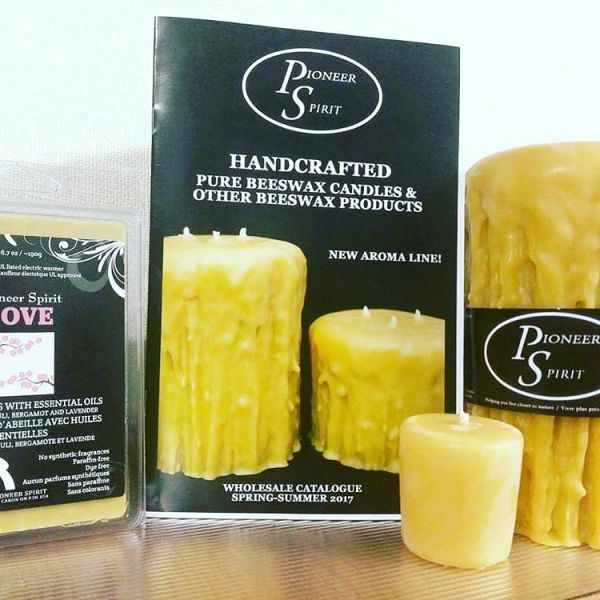 Looking to sell beeswax candles or want to get wholesale pricing for product for your business? Contact us today! 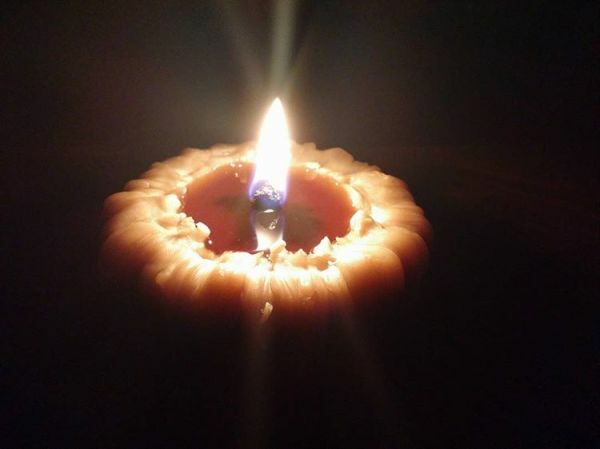 When lit, beeswax candles release negative ions into the air, which join with the positive ions (dust, pollen, mold, pet dander, allergens) and either make them fall to the ground, or burn them up in the flame. 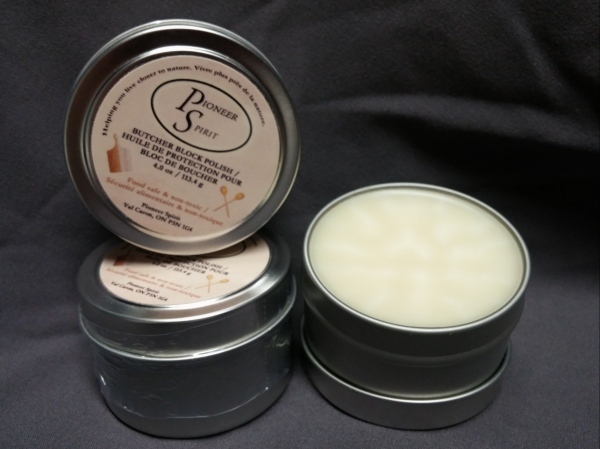 Burning beeswax candles can help clean and purify the air in your home. Join our mailing list and receive exclusive savings on our products. 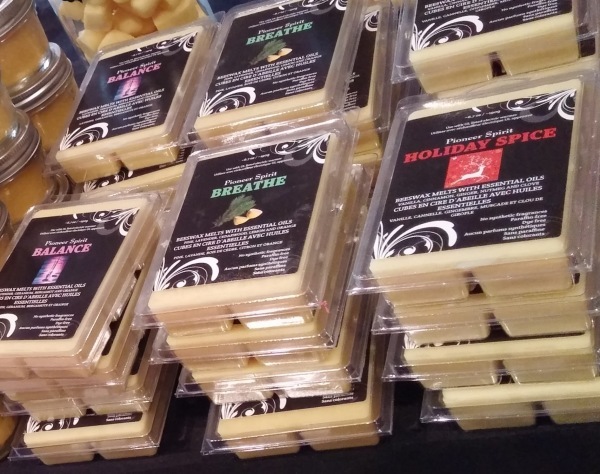 Free from artificial colours or fragrances, our aroma line includes herb-infused beeswax candles and beeswax melts using 100% pure essential oils. 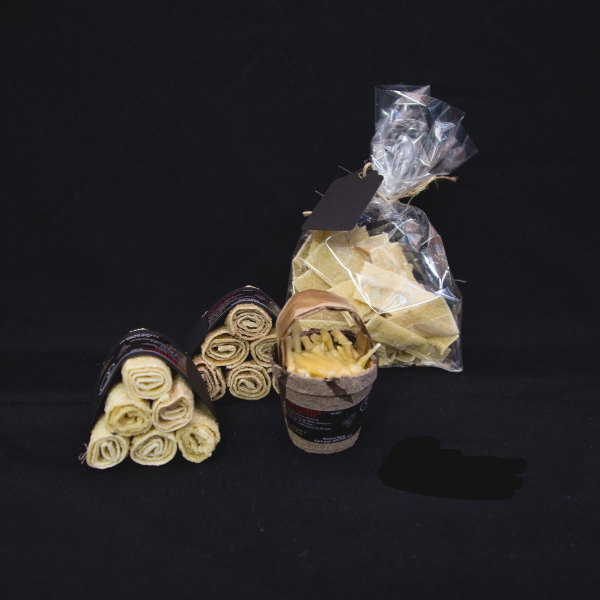 We only use 100% cotton and cotton/paper core wick for our candles. Lead-free.